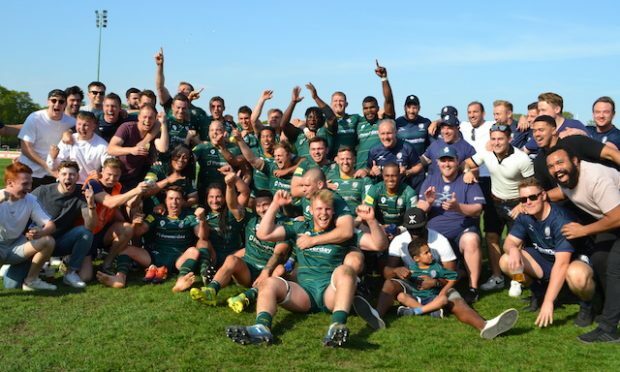 There was plenty of warning that England’s tsunami was going to hit Ireland early last Saturday, but despite the forecast the home team were caught napping yet again. Within two minutes, England were seven points to the good and Ireland looked shell-shocked. 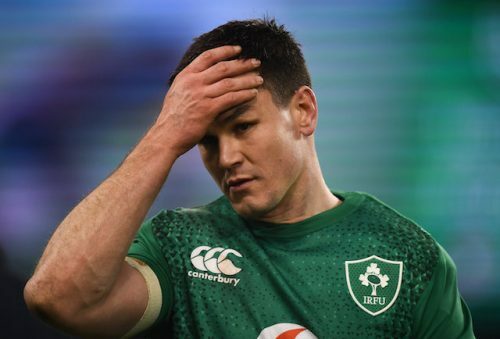 Despite the success that Ireland have enjoyed during the past few years there has been a recurring slow start to each Six Nations campaign. A fortunate draw at home to Wales in 2016, defeat away to Scotland in 2017 and a Houdini winning drop goal to salvage victory over France last year. 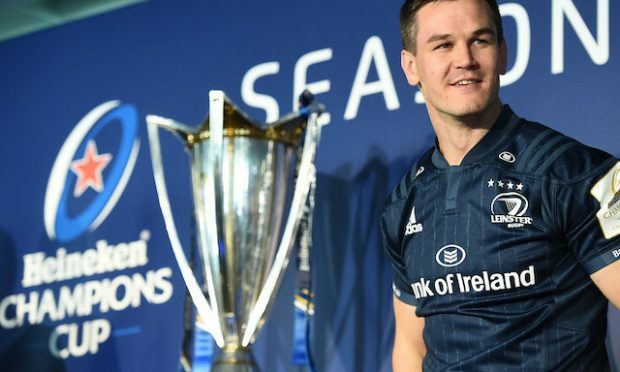 This repetitive theme will not have gone unnoticed by their opponents and Scotland will attempt to upset Ireland in the opening game of this year’s World Cup, knowing that Joe Schmidt’s team are at their most vulnerable at the outset of a tournament. England fielded a team of behemoths last Saturday in Dublin and literally bullied Ireland into defeat. 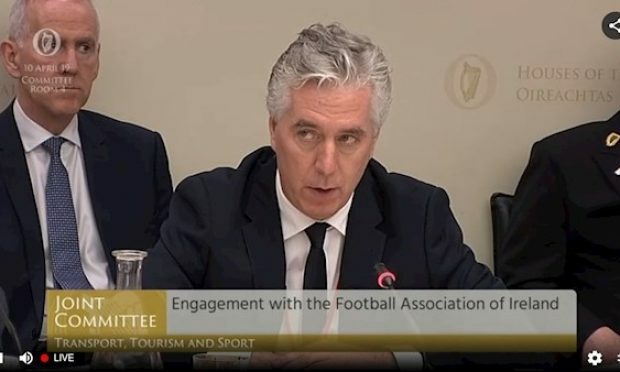 What was disappointing was the lack of direction from Ireland’s leaders on the pitch. Rory Best, Johnny Sexton and Peter O’Mahony didn’t possess the resourcefulness to impose the home team’s response to the brutal onslaught they received from Eddie Jones’s team. Ireland’s victims in recent years have spoken of the team’s physicality and their ability to dominate proceedings through imposing their muscularity. When England took them on physically none of the usual dominant influencers were evident in countering the threat. 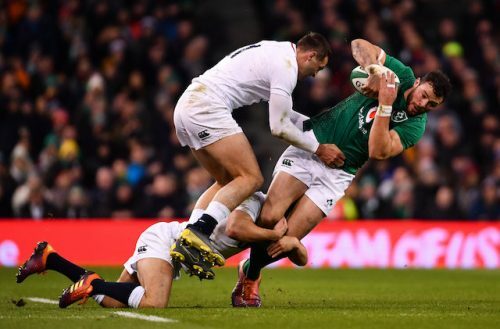 Apart from Josh van der Flier and CJ Stander’s excellent tackle count, there was a distinct lack of rear-guard defence to the English onslaught. Manu Tuilagi and the Vunipola brothers made copious yards every time they ran with the ball and Ireland appeared to have no answer. The worrying aspect of this is that future opponents will have noted that Ireland are vulnerable when they are out-muscled. This weekend’s game against Scotland provides Ireland with the opportunity to re-establish their superiority in the area of physicality, and also demonstrate that they have the ability to react in a more focussed manner to the various threats that opponents throw at them. When Ireland are on the front foot they are a very difficult side to play against – Sexton and his backline have all the inventiveness to exploit their opponents’ weaknesses. But Saturday demonstrated that when their superiority up front is challenged, they struggle to find a plan B. The principle threat they will face from Scotland this Saturday will be the pace and creativity of the Scottish backs. They showed against Italy that they can exploit open spaces better than anyone. In other words, a completely different proposition than the physical attack Ireland suffered last weekend. Ireland will need to bully the Scottish pack and restrict the flow of possession to their speedy and inventive backs. It will be a surprise if Rob Kearney is not re-installed at full-back. For the most part the Robbie Henshaw experiment failed against England and the positional play and assurance provided by the experienced Kearney will be welcome against the Scottish threat. Ireland head coach Joe Schmidt seemed genuinely surprised by the extent of the physical onslaught by England. “It was a very suffocating place to be out on the pitch,” he commented after the game. It reminded him of the All Blacks reaction two weeks after Ireland’s Chicago victory in 2016. On both occasions he felt his team were “out-bullied”. In future, in the face of brutality, Schmidt may resort to meeting brute force with more of the same. Perhaps playing Iain Henderson or Tadhg Beirne at blindside flanker and Sean O’Brien at openside may be his approach. In the past, Schmidt has been able to outthink his opponents and come up with solutions to their threats. It has become clear perhaps more so than ever, the team that is able to dominate up front generally takes home the spoils. Ireland will need to find the resources to match all potential opponents physically. Only in those circumstances can they utilise their creativity to dominate the game. Scotland won’t pose the same physical threat and Ireland will need to take a leaf out of Eddie Jones’s book and dominate the Scottish pack and restrict their possession. Not surprisingly there are a number of casualties after Saturday’s attritional battle. CJ Stander has a fractured eye socket, but to his credit he played for 60 minutes with the injury. Devin Toner has a sprained ankle and Keith Earls and Garry Ringrose are recovering from crunching hits. If Ringrose is fit he will probably be re-joined by Robbie Henshaw in the centre and Andrew Conway may get the call if Earls doesn’t recover in time. Beirne and Henderson are fighting to recover from old injuries and this weekend may be too soon for them to retake the field. If that is the case Quinn Roux may deputise if Toner is unavailable. Schmidt may be tempted to play Sean O’Brien at number 8 for the injured Stander. This year’s Six Nations is being played in the shadow of the impending World Cup and with Ireland and Scotland facing each other in their opening RWC match, Saturday’s contest will have added significance. Schmidt looked somewhat shell-shocked after Saturday’s game, but he is resourceful and is likely to have his team ready to recover their mojo.